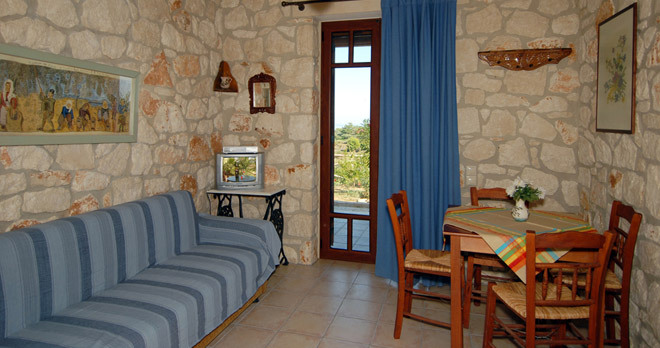 Myrties is made up of five studios for 2 persons that can be transformed into two apartments for 4 persons and one for 3 persons. 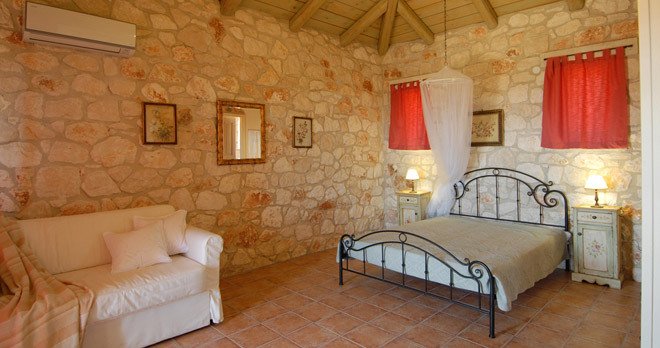 - bedrooms with two single beds or one double bed. 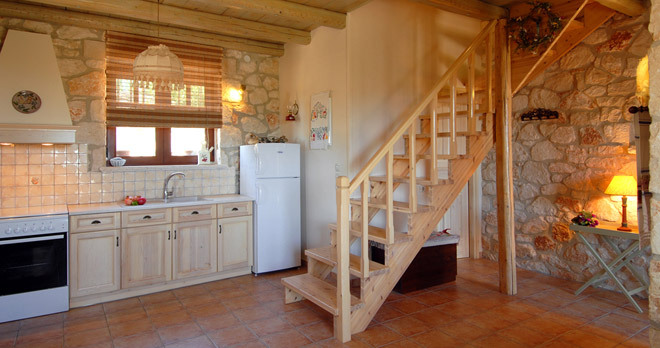 - possibility to add an extra bed, or a cot for families with babies. 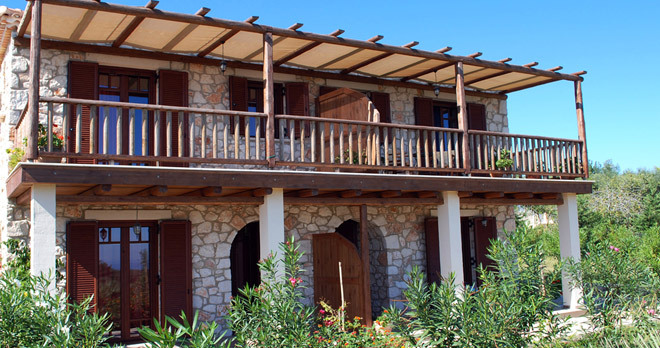 There are also two new stone buildings with 4 two-storey maisonettes that can accommodate from 2 to 5 persons. 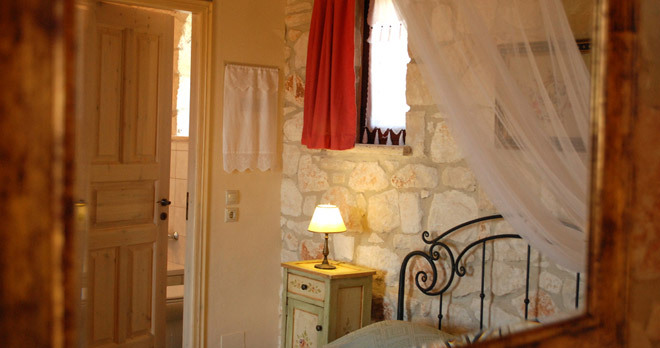 - bathroom with bathtub and hairdryer. 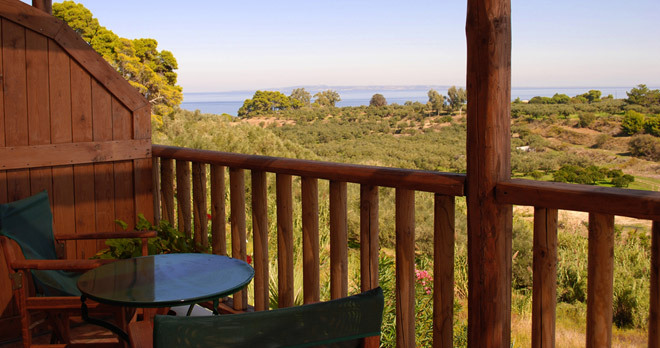 There is an independent shaded veranda with a lovely view and air conditioning in all the house. 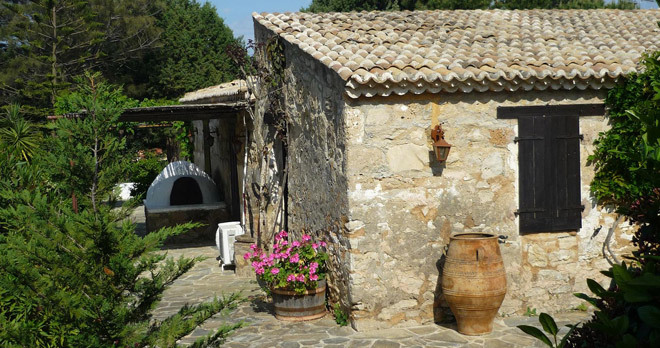 An outdoor shower for the use of our guests in the yard of each building is available. 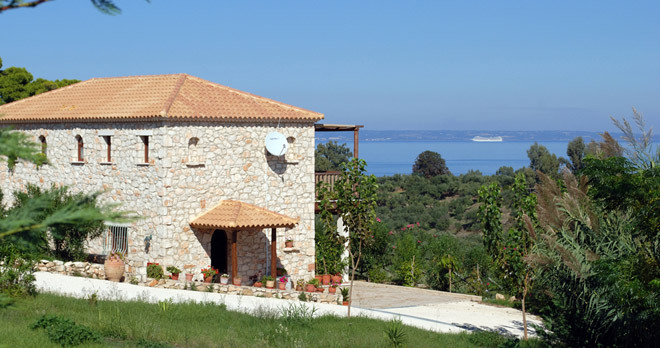 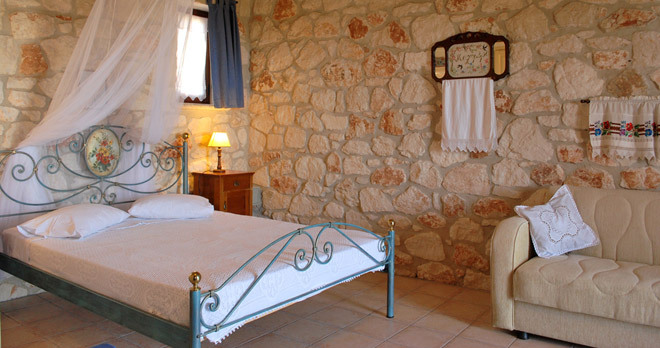 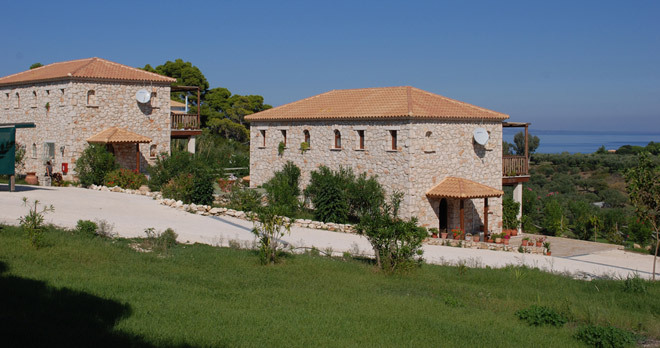 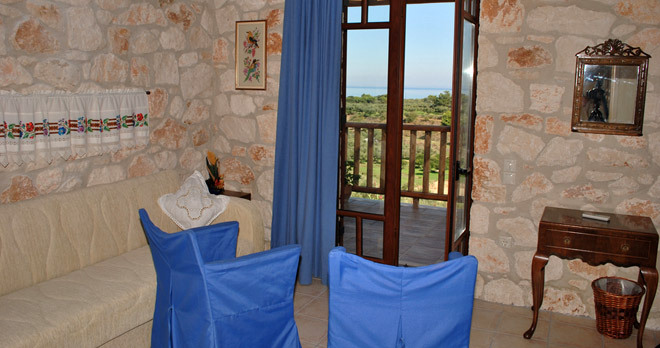 Myrties stone studios and apartments are located in Vassilikos, one of the most beautiful village of Zakynthos. 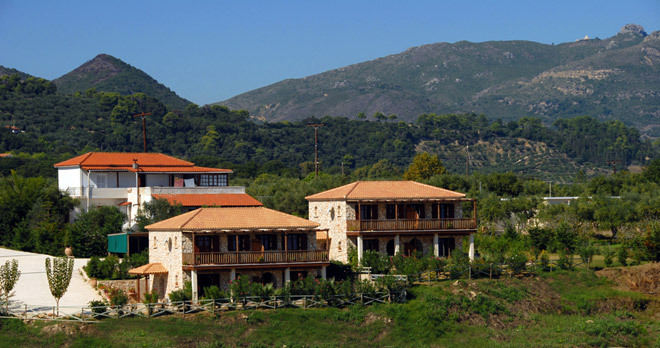 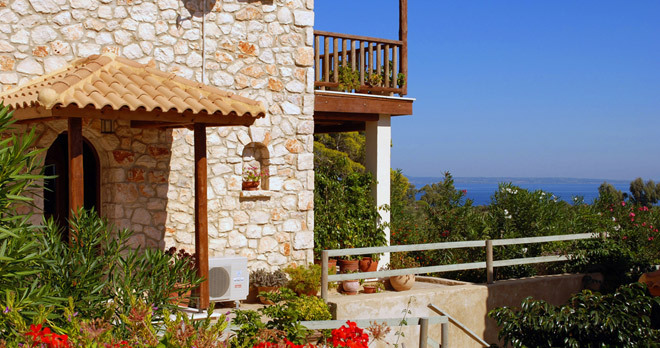 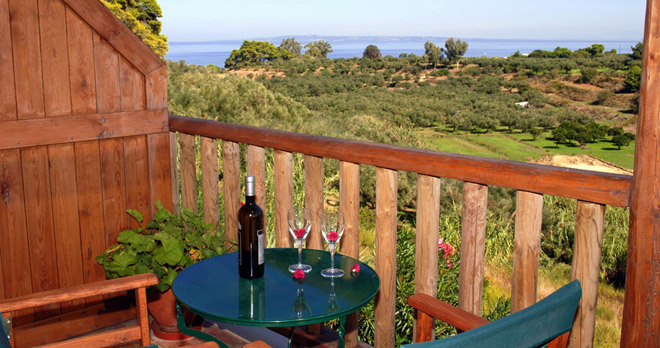 Vassilikos is a quiet resort that combines mountain, sea and rich vegetation of olive trees and pine trees. 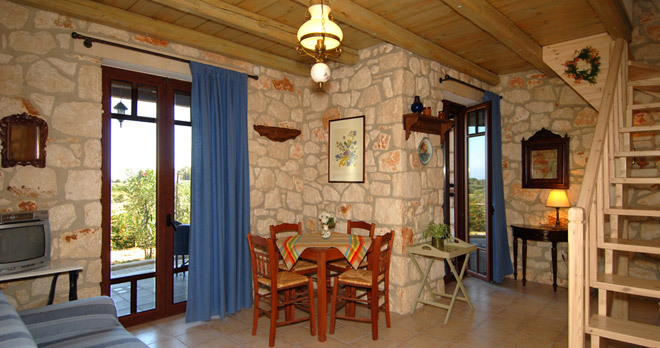 It is in the south of the island and offer tourist facilities like taverns, shops, rentals, horse riding, water sports and also several sandy beaches. 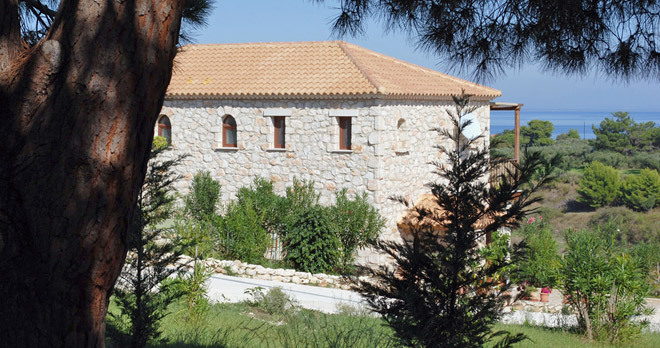 Myrties is a stone farmhouse, which was built in 1911 and recently has been restored. 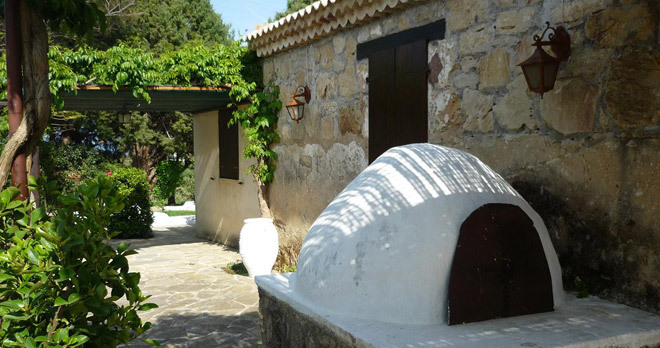 Its name was taken from a local colourful flower that climbs onto the stone walls creating a relaxing garden. 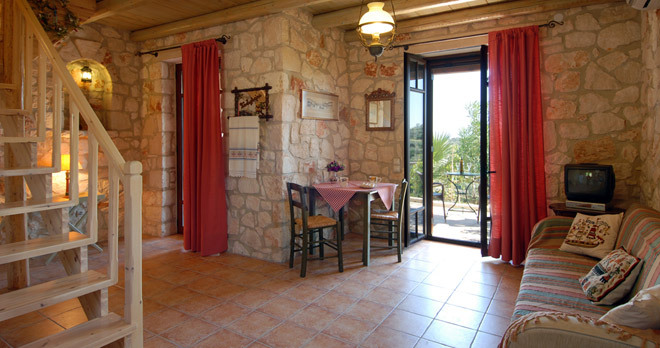 Myrties is traditionally decorated (stone walls, ceramic floor tiles, and wooden beams of the roof) and it is surrounded by a big green garden.